Leather, Back-Up Camera, Satellite Radio, Dual Zone A/C, Bluetooth, iPod/MP3 Input, ENGINE: 2.0L I4 DOHC DI TURBO ETORQUE... REMOTE PROXIMITY KEYLESS ENTRY. Rubicon trim, Black Clear Coat exterior. EPA 24 MPG Hwy/22 MPG City! CLICK ME! KEY FEATURES INCLUDE Leather Seats, Back-Up Camera, Satellite Radio, iPod/MP3 Input, Bluetooth, Aluminum Wheels, Dual Zone A/C. MP3 Player, Privacy Glass, Child Safety Locks, Steering Wheel Controls, Rollover Protection System. OPTION PACKAGES Hill Descent Control, Tip Start, Delete Alternator, 700 Amp Maintenance Free Battery, Supplemental Heater, 48V Belt Starter Generator, LED Taillamps, Front LED Fog Lamps, LED Reflector Headlamps, Daytime Running Lamps LED Accents. EXPERTS RAVE Approx. Original Base Sticker Price: $52,300*. WHY BUY FROM US The staff at Mount Airy Chrysler Jeep Dodge is ready to help you purchase a new or used car in Mt Airy. When you visit our car dealership, expect the superior customer service that you deserve. With years of experience and training, our team will get you into the car, truck, or SUV that was built for you. Get the new or used car by Jeep, Dodge, Chrysler or RAM in Mt Airy that you have been dreaming of by calling or visiting our dealership today. Pricing analysis performed on 4/2/2019. Fuel economy calculations based on original manufacturer data for trim engine configuration. Please confirm the accuracy of the included equipment by calling us prior to purchase. Navigation, Heated/Cooled Leather Seats, Heated Rear Seat, Back-Up Camera, Running Boards, 4x4, TRI-FOLD TONNEAU COVER, TRAILER TOW GROUP, Bed Liner. EPA 24 MPG Hwy/19 MPG City! Limited trim, Diamond Black Crystal P/C exterior SEE MORE! KEY FEATURES INCLUDE Leather Seats, Navigation, 4x4, Heated Driver Seat, Heated Rear Seat, Cooled Driver Seat, Back-Up Camera, Running Boards, Premium Sound System, Satellite Radio, iPod/MP3 Input, Onboard Communications System, Trailer Hitch, Remote Engine Start, Dual Zone A/C. MP3 Player, Keyless Entry, Privacy Glass, Child Safety Locks, Steering Wheel Controls. OPTION PACKAGES WHEELS: 22 X 9 POLISH/PAINTED W/INSERTS Tires: 285/45R22XL BSW All Season, ADVANCED SAFETY GROUP Lane Departure Warning Plus, Parallel & Perp Park Assist w/Stop, Adaptive Cruise Control w/Stop & Go, Advanced Brake Assist, Full Speed Forward Collision Warning Plus, ENGINE: 5.7L V8 HEMI MDS VVT HEMI badge, 220 Amp Alternator, dual rear exhaust w/bright tips, Heavy Duty Engine Cooling, Active Noise Control System (STD), TRI-FOLD TONNEAU COVER, TRAILER TOW GROUP Trailer Brake Control, Power Chrome Trailer Tow Mirrors, Trailer Tow Mirrors, TRANSMISSION: 8-SPEED AUTOMATIC (8HP75) (STD). EXPERTS ARE SAYING Approx. Original Base Sticker Price: $63,500*. 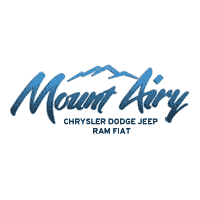 VISIT US TODAY The staff at Mount Airy Chrysler Jeep Dodge is ready to help you purchase a new or used car in Mt Airy. When you visit our car dealership, expect the superior customer service that you deserve. With years of experience and training, our team will get you into the car, truck, or SUV that was built for you. Get the new or used car by Jeep, Dodge, Chrysler or RAM in Mt Airy that you have been dreaming of by calling or visiting our dealership today. Pricing analysis performed on 4/13/2019. Fuel economy calculations based on original manufacturer data for trim engine configuration. Please confirm the accuracy of the included equipment by calling us prior to purchase.